Hi everyone! Cindy here and it's Team Tuesday! Can you believe it's the end of January already? With the new year in full swing I have been doing some organizing in my office space. When it comes to organizing Ikea and the Container Store are 2 of my favorite stores. Is it weird that I love putting together Ikea furniture? Ok don't answer that. I decided to get a new cabinet at Ikea. It's the cube style and can be placed either horizontal or vertical. I wanted to use it horizontal to hold my printer that I use for my prints and to store other office supplies. It's a neat cabinet that you can customize to fit your needs with drawers, cabinet doors, or leave open for baskets, books, etc. After I got it all put together I wanted to change out the drawer and cabinet knobs to something a little more unique. So off to Home Depot to purchase some wood knobs that I could paint and stencil on. I love how they turned out and I'm excited to show you how you can update a simple thing like a knob to make a big impact. 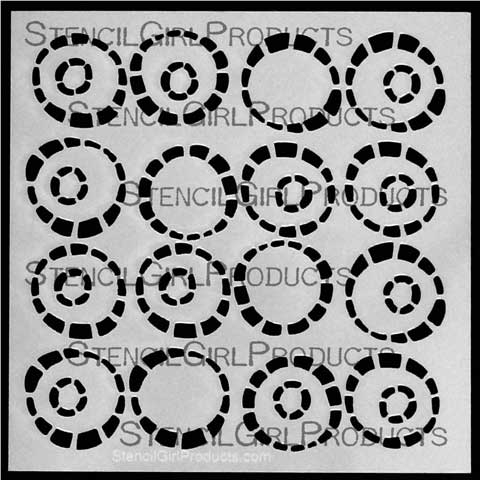 Stencils to fit your style. 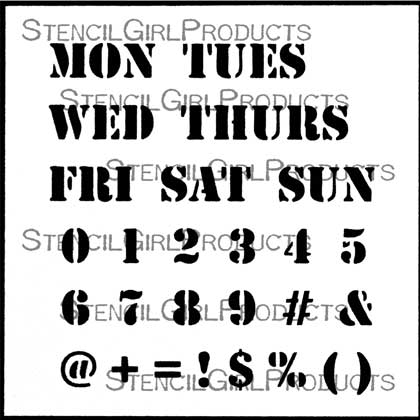 I used the following two stencils. Paint your knobs. I found starting on the bottom of the knob to be easier. It's also helpful to hold it with a stick or qtip. Paint the tops of the knobs. I had to do about 4 coats with the gloss white craft paint. Below is the first coat. Let dry in between each coat. Tape off your stencil with painters tape to mask off areas you don't want to stencil on your knob. Stencil your design with a light layer of paint on your sponge. Work slowly and it's helpful to wipe off your stencil before starting each knob. This jus helps keep unwanted paint marks off your knob. Let dry. 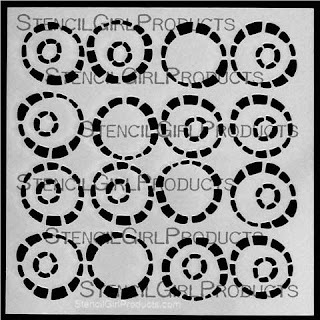 Stencil your second design on your knob. I found it easier to use a qtip for the small numbers. Be careful not to load too much paint on your qtip and again work slowly. Let dry. And that's it! You can seal if you would like, but I did not. I'm going to see how they hold up without sealing. I really like how they turned out and made the cabinet more customized. Here's the before and after of the simple transformation. 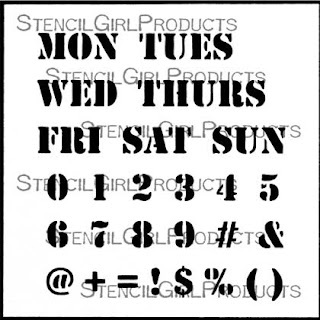 And if you are wanting to tackle a larger home decor project don't forget StencilGirl carries large Home Decor stencils too! Great idea and added fun to the piece.